An interest rate that changes, based on changes in a published market rate index. An estimate of much a house would sell for if it were sold; also called its market value. An increase in a home’s value. A meeting where documents are signed to “close the deal” on a mortgage; the time a mortgage begins. The Constant Maturity Treasury rate, used as an interest rate index in the HECM program. A court action saying a property is unfit for use: also, the government taking private property to use for the public by the right of eminent domain. A credit account that lets a borrower decide when to take money out and also how much to take out; also known as a “line of credit” or “credit line.”. In the HECM program, the interest rate currently being charged on a loan, which equals one of the HUD approved interest rate indices (1month CMT, 1year CMT, or 1month LIBOR) plus a margin. Reverse mortgages that give you a lump sum of cash to repair or improve a home; usually offered by state or local governments. A decrease in the value of a home. The right of a government to take private property for public use; for example, taking private land to build a highway. In the HECM program, the interest rate used to determine a borrower’s loan advance amounts; it equals either the 10year CMT or the 10year LIBOR rate plus a margin (see below). A government sponsored enterprise (GSE) that buys and is supervised by the federal government. The part of the U. S. Department of Housing and Urban Development (HUD) that insures HECM loans. A reverse mortgage guaranteed by the federal government so you will always get what the loan promises; also, a Home Equity Conversion Mortgage (HECM). Payments of the same amount that are made to a borrower each month. The value of a home, subtracting any money owed on it. Turning home equity into cash without having to leave your home or make regular loan repayments. The only reverse mortgage program insured by the Federal Housing Administration, a federal government agency. In the HECM program, the largest home value that can be used to determine a borrower’s loan advances. In the HECM program, the interest rate that is first charged on the loan beginning at closing; it equals one of the HUD approved interest rate indices (1MTH CMT, 1YR CMT, or 1MTH LIBOR) plus a margin. The sale price of the home minus the total amount owed on it and the cost of selling it; the amount the homeowner or heirs get when the house is sold. The London Interbank Offered Rate, used as an interest rate index in the HECM program. Payments made to a borrower, or to another party on behalf of a borrower. The amount owed, including principal and interest; capped in a reverse mortgage by the value of the home when the loan is repaid. A single loan advance at closing. In the HECM program, the amount added to an interest rate index to determine the initial, current, and expected interest rates. When a loan must be repaid; when it becomes “due and payable”. Rules recommended by AARP for analyzing and comparing federally insured reverse mortgages. A home loan in which the borrower generally cannot owe more than the home’s value at the time the loan is repaid. The process of setting up a mortgage, including preparing documents. Reverse mortgages that pay annual property taxes; usually offered by state or local governments. Proprietary mortgages are NOT federally insured and are not governed by the same rules as reverse mortgages in the HECM Program. To learn more about each Proprietary mortgage type, you should visit each provider’s website or consult with a Reverse Mortgage adviser for their respective products. 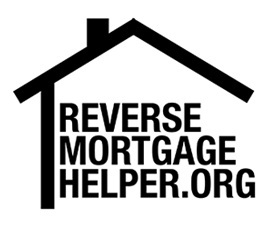 ReverseMortgageHelper.org provides counseling for certain Proprietary mortgages as well. When requesting an appointment, let us know you are considering a Proprietary Reverse Mortgage. A borrower’s right to cancel a home loan within three business days of the closing. Administering a loan after closing, such as maintaining loan records and sending statements. A federal monthly income program for low income persons who are aged 65+, blind, or disabled. Fixed monthly loan advances for a specific period of time. As a HUD Approved Counseling Agency, our Reverse Mortgage counselors will discuss the facts of a Reverse Mortgage with you and upon completion of the session will present you with a Certificate of Counseling. Reverse Mortgages are increasing in popularity with seniors who have equity in their homes and want to supplement their income. The only reverse mortgage insured by the U.S. Federal Government is called a Home Equity Conversion Mortgage or HECM, and is only available through an FHA approved lender.